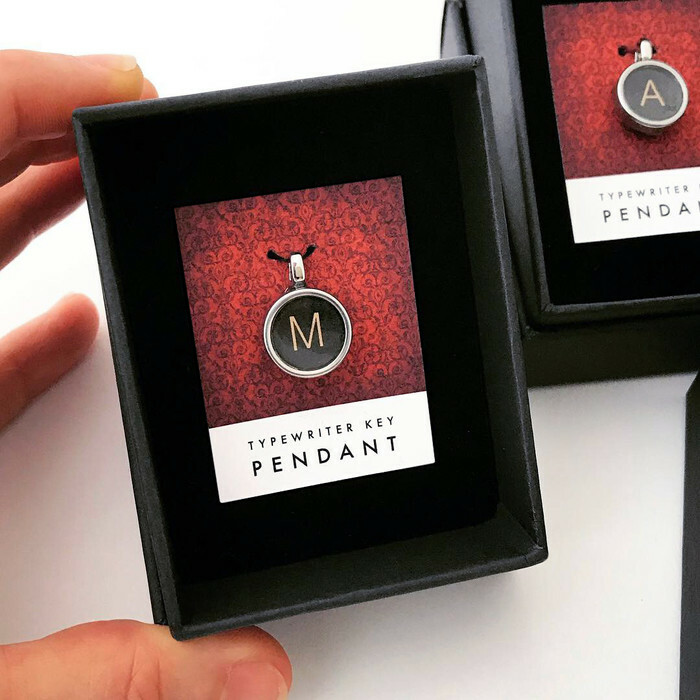 Handmade from the re-purposed keys of genuine vintage typewriters, these pendants make an ideal customised gift. CHOOSE YOUR OWN KEY - I’ll hand-make you a pendant with your chosen letter/number/symbol. 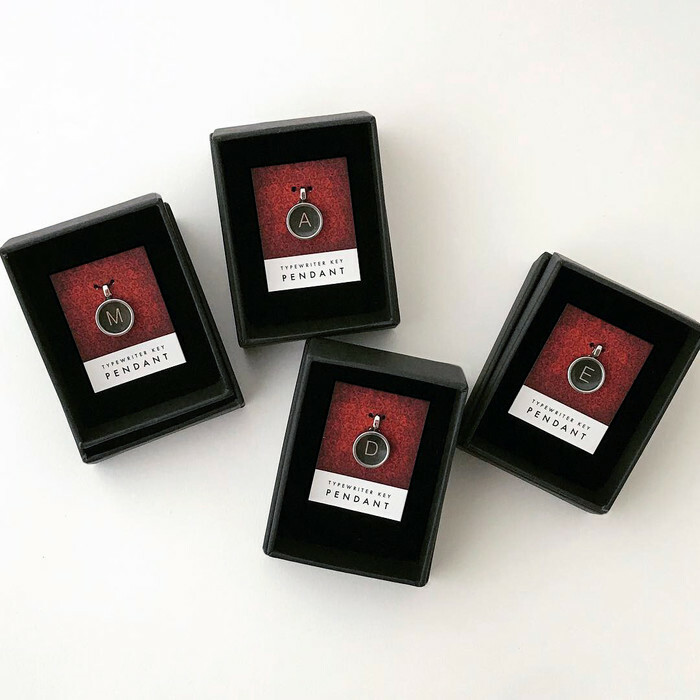 Pendants come beautifully presented in a lidded black box with a handmade backing card, as pictured. ALL letters and numbers and symbols are currently available. 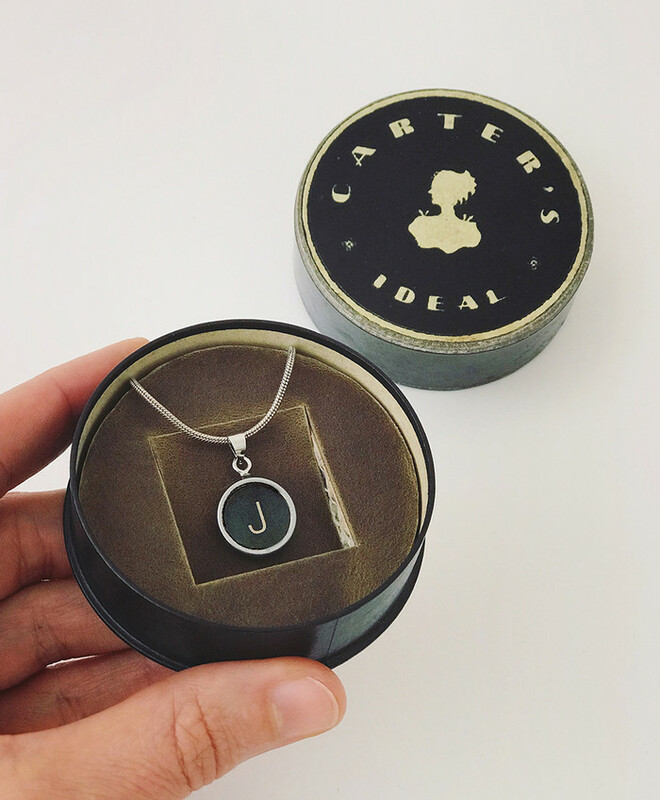 Happy to create multiple personalised pendants for bridal parties, corporate or family gifts, etc - feel free to message me to discuss. The typewriter keys are approx 14mm diameter. The typewriter-keys are metal with glass faces. The high-quality bails are gunmetal-coloured. 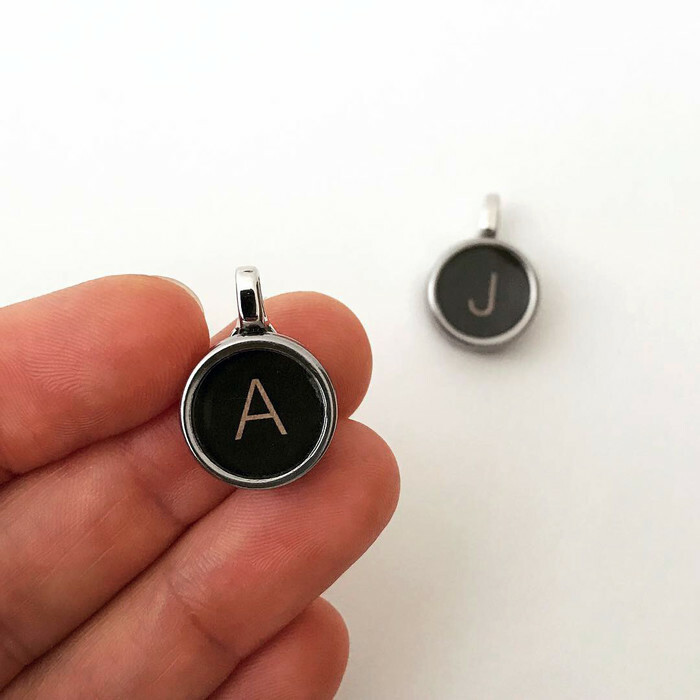 The vintage nature of the typewriter keys means that each is unique in its appearance, colour and wear, bearing in mind they are from antique typewriter machines that are approx 50-100 years old. These are not reproduction keys, they are genuine vintage - the real deal! 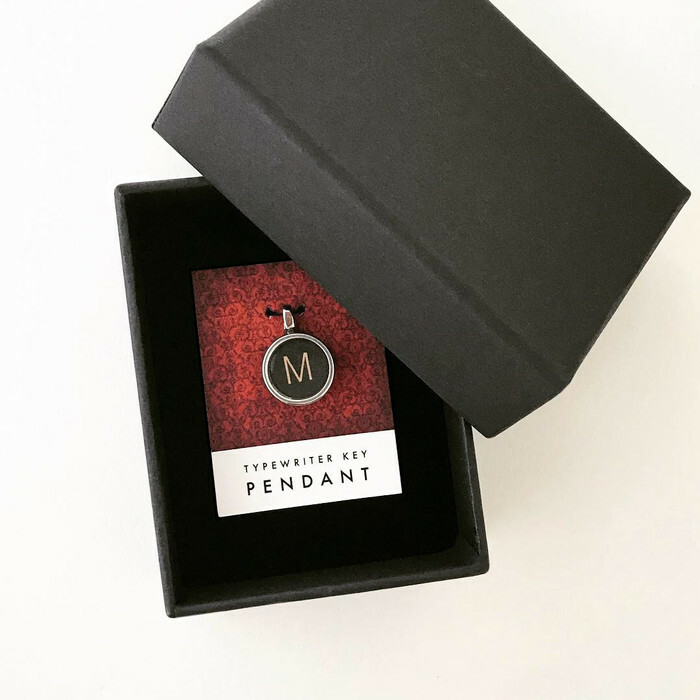 Your pendant will come packaged in a lidded black box with a velvet insert and handmade backing card, as pictured. Or upgrade the packaging to a vintage tin for an extra $25 - message me to discuss. Express Post is also available. I'm happy to combine postage for multiple purchases. 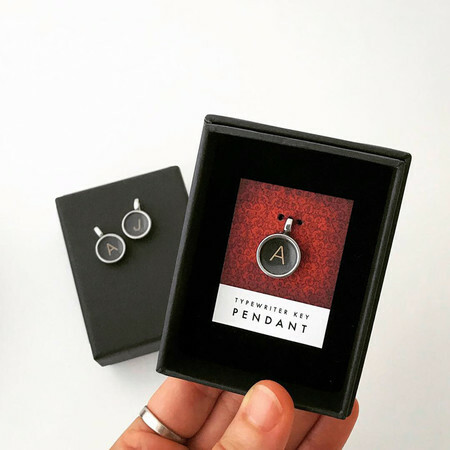 I also sell typewriter-key cufflink sets, both packaged simply with a backing card ($50/pair) or beautifully presented/packaged in an assortment of genuine vintage typewriter-ribbon TINS, with a handmade card/leather insert to hold the cufflinks securely within the tin ($75/pair in tin). Please see my other listings for details/photos of the wide range of vintage tins I have available.